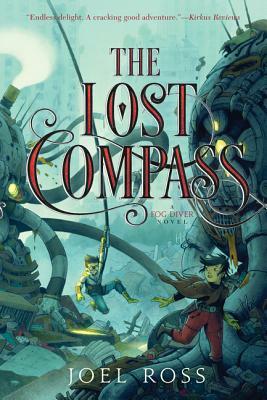 In the high-stakes sequel to the acclaimed The Fog Diver—which was named a Texas Bluebonnet selection and winner of the 2015 Cybils Award for Speculative Fiction and the Michigan Library Association’s 2016 YouPer Award—thirteen-year-old Chess and his crew must stop the deadly and mysterious Fog from enveloping the city of Port Oro and destroying their world. Chess and his crew—Hazel, Swedish, Loretta, and Bea—may have escaped the slums, but they cannot escape the Fog that threatens to swallow the entire mountaintop city of Port Oro. Only one thing can stop the Fog: an ancient machine known as the Compass. And only one person can find it: Chess. With the help of his crew, Chess faces dangerous encounters and deadly driftsharks to unearth the hidden instrument. It’s a race against time to save this sanctuary in the sky. With adventure at every turn, peril behind every corner, and a few determined slum kids who must save the day, Joel Ross presents a fantastic world in this fast-paced follow-up to The Fog Diver.